The mental health awareness event at Aditya Birla World Academy was one the most meaningful days of my life. 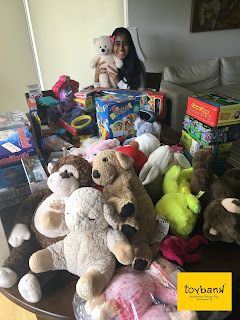 I was volunteering with Toybank at the event. 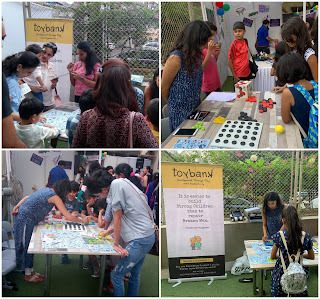 We put a stall for kids to come and play board games as well as spread awareness about the importance of play in a child's life. The spirit and vibe at the event was full of excitement and energy. There were a variety of games, activities at the event for children to engage with. The games we got for the Toybank stall were new to me and I loved that I got to learn 4 - 5 new games. It was very refreshing, as I haven’t played board games for a very long time. I went back home with a relaxed mind and that got me thinking : What impact does play have on our mental well-being? Play helps children understand complexity, how to sift through. It enriches their mindfulness and teaches them to focus under pressure and a time constraint. This is very essential for our mental well-being - being able to move through the complexities of life. Games also improve our memory. It prepares us for life. We get very anxious when we forget things or when we can't concentrate. It teaches us how to improve those skills, which in turn helps us in real life situations that require us to memorize and concentrate. 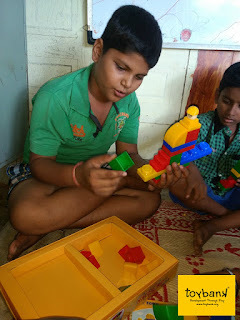 Hence, games are fun and generate positivity keep the mind peaceful and relaxed. These are some of the individual benefits of playing, but play also improves those mental abilities that are required to deal with social anxieties. Playing games with others help us to socialize positively. Every game has a set of rules, that tell us what to do during a challenging situation. It helps us understand how to deal with competition. It helps us work on problems together as a team. I’m glad to have realized this and hope to incorporate more play in my life.